The Ascom secondary alarm notification solution from GE Healthcare provides caregivers with content-rich alarm information in the form of a text-based alarm notification (e.g., bed location, severity and status) along with up to a 12-second waveform snapshot for ECG-related events. This additional information provided to caregivers may enable them to better understand and react to a given clinical situation. The release of Ascom Unite Axess for Smart Devices expands the mobility of patient data distribution in near-real-time. Ascom Unite Axess enables caregivers to receive secondary alarm notifications on devices such as iPhones** and Android** smartphones. With customizable filtering and prioritization available in the Ascom Mobile Monitoring Gateway (MMG), alarm management is enhanced, helping to avoid alarm fatigue. Alarm filters may help minimize alarm fatigue; they are designed to optimize alarm distribution and help ensure caregivers receive relevant alarms. Filters are applied before any other processing of the message occurs. Alarm priority is not removed or altered by filters. 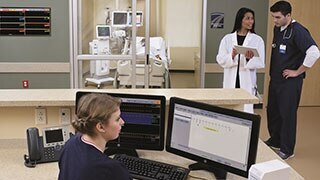 Activity Logging provides access to hospital alarm notification activity via the hospital network. Recent activity logs are stored in the Unite Connectivity Manager; longer term log retention is accomplished by exporting logs to an external file server. Logs can be utilized for historical analyses, such as audit trail reviews and performance monitoring. The flexible staff assignment interface manages the distribution and escalation of secondary alarm notifications for optimal resource utilization. 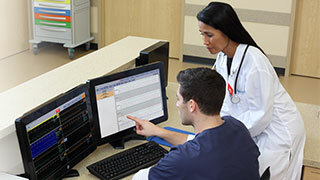 Assignments can be centrally administered across multiple clinical systems including patient monitoring and nurse call systems, eliminating duplication of assignment activities. 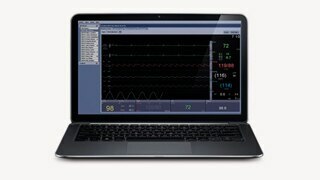 Waveform Presentation enables the caregiver to receive up to a 12-second waveform snapshot of the alarm on Ascom IP-DECT and VoWiFi handsets and on select smart devices, along with a text-based alarm notification. The user can view a waveform segment sent to the handset by scrolling forward after the alarm occurred or scrolling backward before the alarm occurred. By providing more content and context related to the alarm, the caregiver now has the ability to better understand the alarm situation and respond to the event accordingly. Ascom Unite Axess App enables clinical alert messaging for smart devices (i.e., iPhones and Android smartphones). This advanced messaging application complements existing messaging capabilities of IP-DECT handsets, VoWiFi handsets, pagers, and LED signs. Patient information and alerts are delivered to a smart device utilizing robust standards-based security, over-the-air encryption and user authentication. 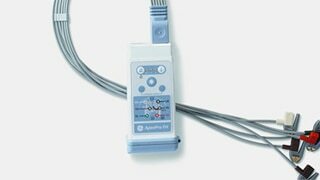 Ascom Myco is a purpose-built smart device developed especially for nurses, caregivers and clinicians. 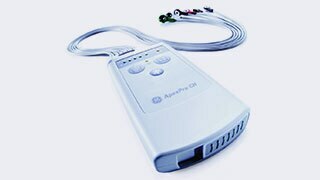 It combines smartphone performance with intelligent alert handling and a robust, durable design to withstand the challenges in a healthcare environment. Ascom Myco supports barcode technology and has a unique top display for at-a-glance notifications. The MMG with redundancy capability enables a secondary module to become active automatically within 60 seconds of the primary module failure. Redundancy in MMG enables continuous and dependable alarm management with limited down time. The Mobile Monitoring Gateway (MMG) and Unite Connectivity Manager operate on the Elise3 embedded solid state server platform for enhanced performance and lower operating costs. 1. Contact your local GE and Ascom Sales Specialist for compatibility and functionality details, and prior to any commercial agreement made regarding third-party devices.